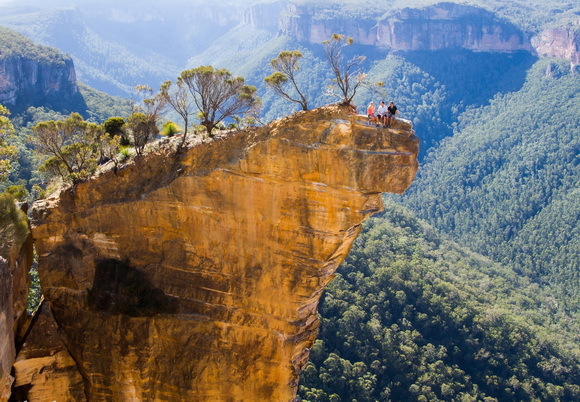 This unusual geological formation is located in the Grose Valley - a rugged valley in the Blue Mountains, New South Wales, Australia. 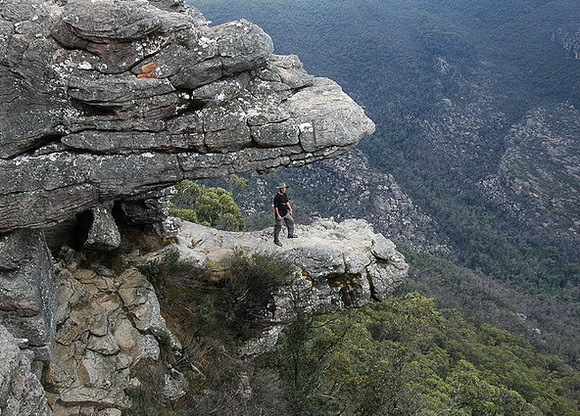 Hanging Rock is a outstanding feature near Baltzer Lookout, at the end of Ridgewell Road, Blackheath. 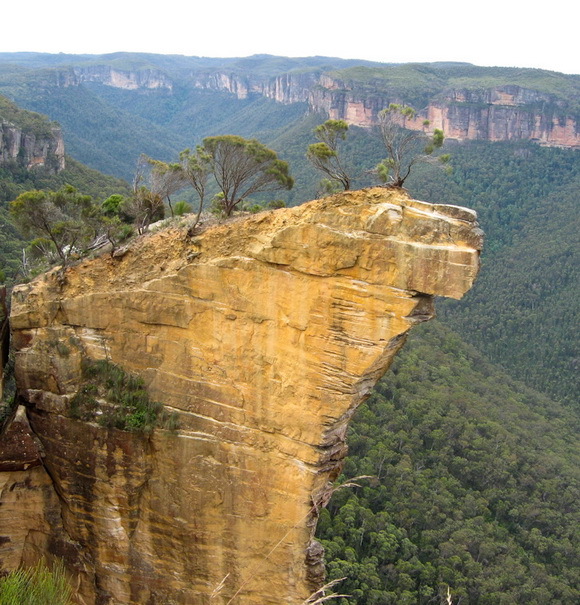 A huge, overhanging block of sandstone over 100m (330 ft) high, jutting out into the Grose Valley, has become detached from the main cliff. 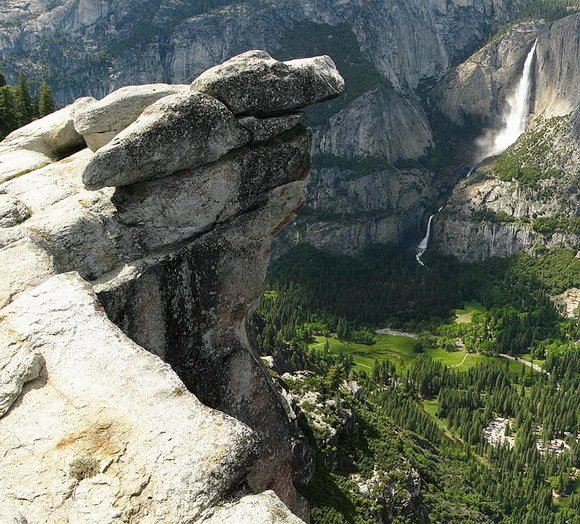 It has featured in many calendars and climbing photos. 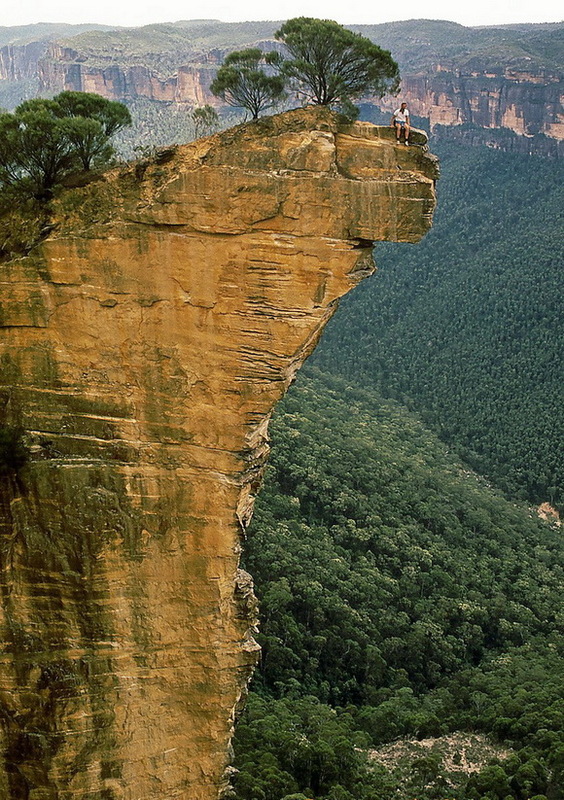 It’s not actually hanging of course but a crack in the rock, which separates hanging rock from other rocks, gives that impression. 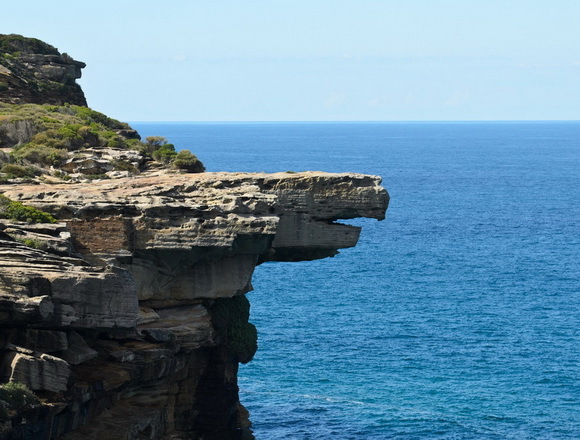 The crack is roughly 50cm (20 inches) wide so it is rather easy (yet still a bit dangerous) to step on the hanging part of the rock. 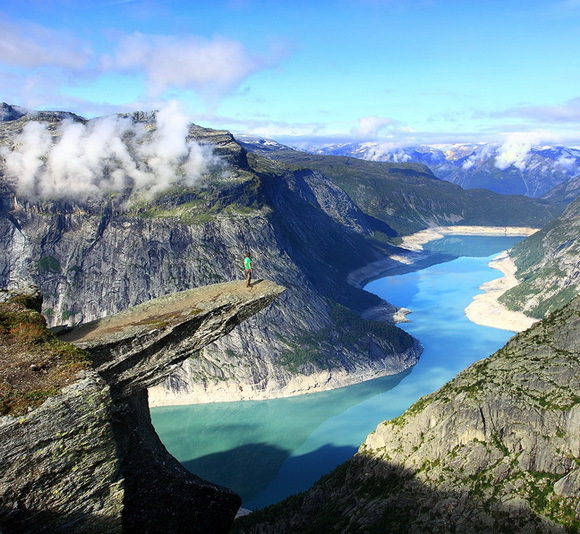 The fittingly named "Troll's Tongue" sticks out of a vertical mountain side above a 350m (1,150 ft) drop. 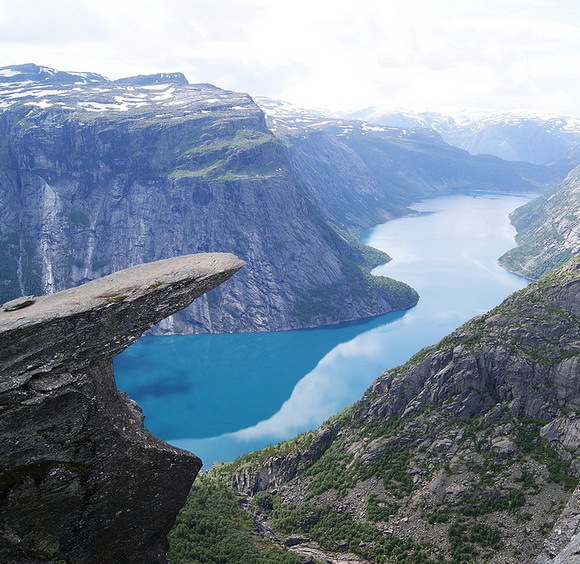 It offers a magnificent view of Skjeggedal near town of Odda. 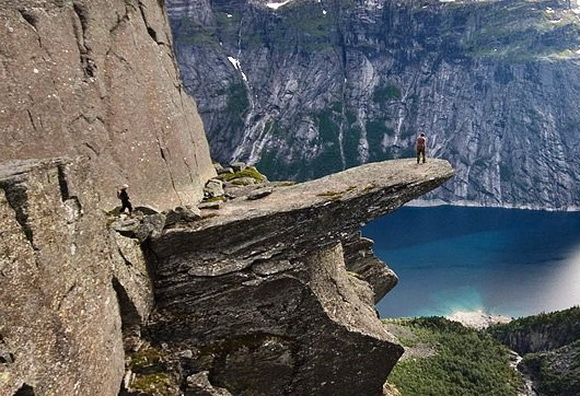 Trolltunga is one of the most spectactular scenic rocks in Norway. It is situated about 1100 meters (3,600 ft) above sea level, hovering 700 metres (2,300 ft) above lake Ringedalsvatnet in Skjeggedal. The view is breathtaking. 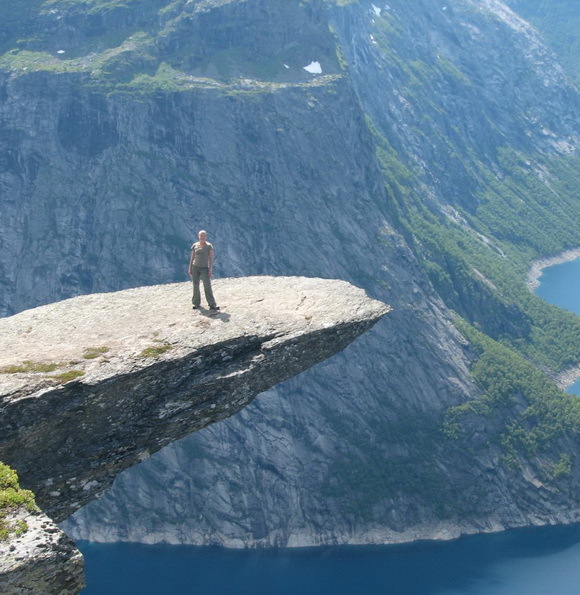 The hike goes through high mountains, takes 8-10 hours in total (to Trolltunga and return) and the ascent is about 900 meters (2,950 ft). 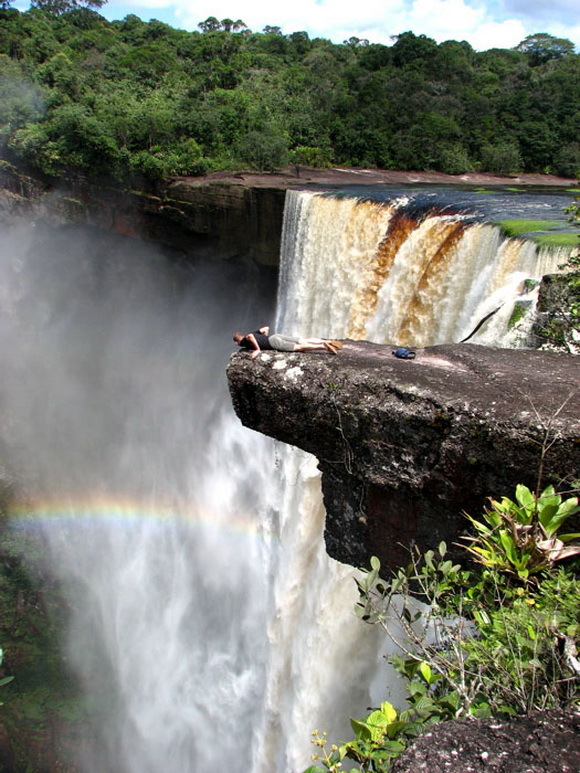 The magnificent Kaieteur Falls are the centrepiece of Guyana's Kaieteur National Park. 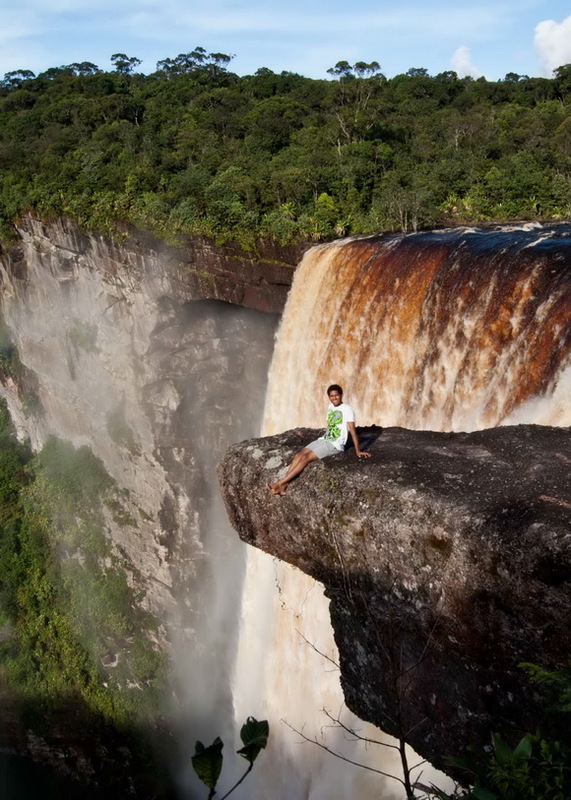 It is indubitably one of the most spectacular waterfalls in the world. 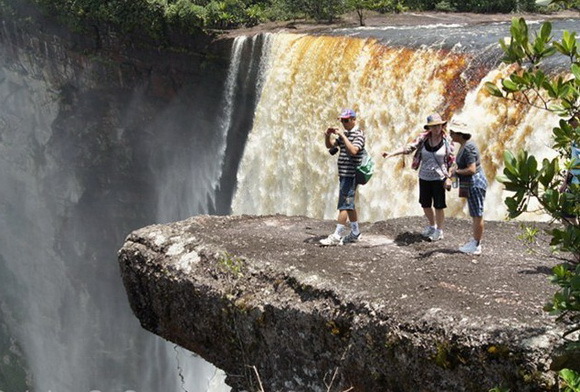 Visitors love to watch the waterfall from this protruding rock because it offers experience of the Potaro River power, the thunder of the falls itself, an amazing view at the misty turbulence of the base of Kaieteur Falls and the pristine rainforest valley. 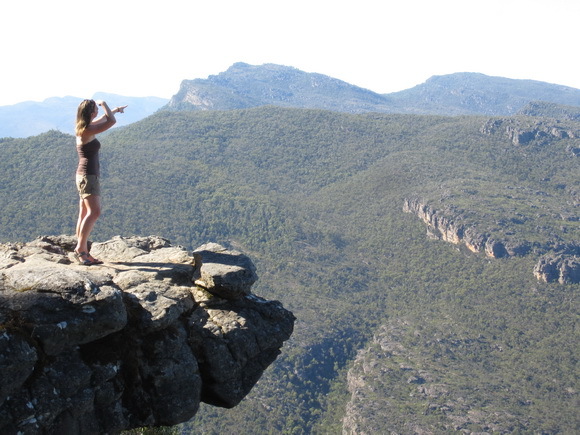 With many unique things to see and experience, the Grampians in Western Victoria is one well-liked tourist destination perfect for tourists of all age groups. 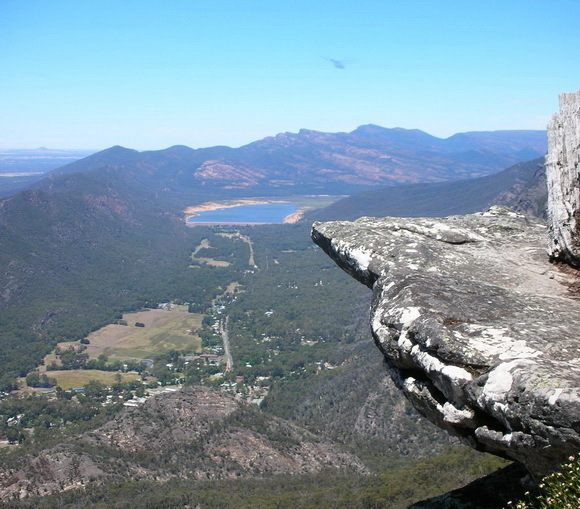 For enjoying the panoramas that the wetlands and the hill ranges boast, visitors often take a tour to the Balconies lookout in the Grampians. 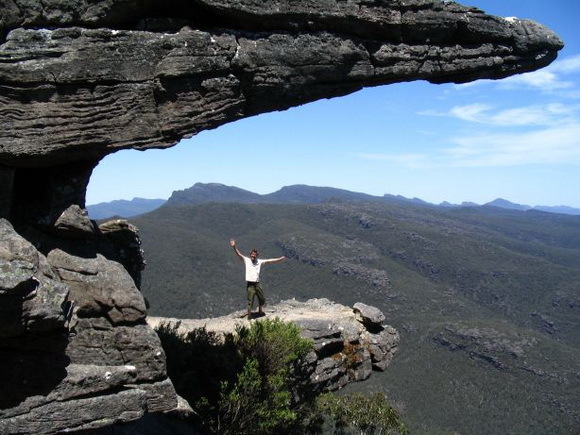 Nestled in the Grampians National Park, the Balconies rocks is one of best scenic rock ledges often visited by tourists and nature photographers. 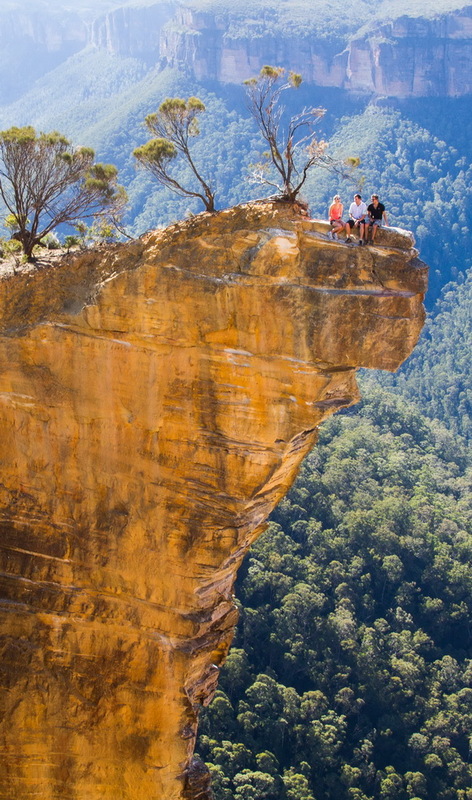 The Balconies are two bits of rock which protrude out like two balconies from the mountain side and overlook and overhang the expansive green blanket of forest canopy which is the Grampian National Park. 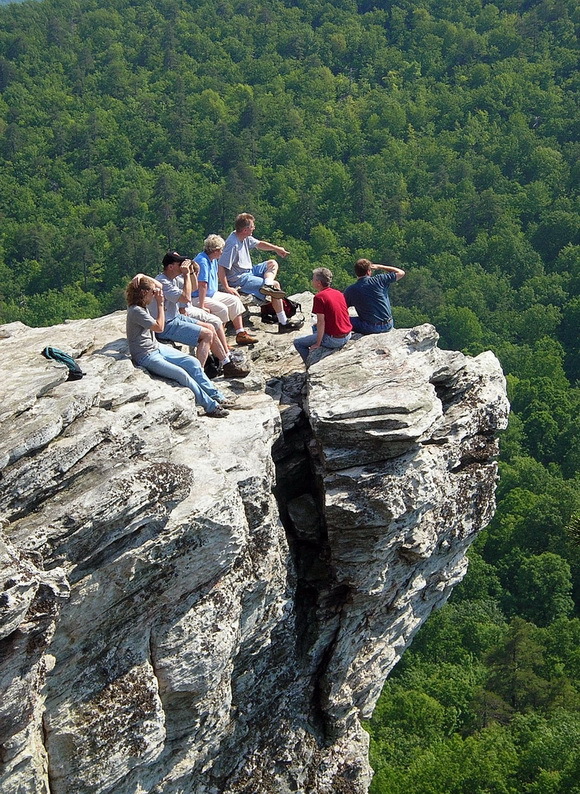 The Hanging Rock is located in Hanging Rock State Park - a 7,014-acre (2,838 ha) North Carolina state park in Stokes County, North Carolina in the United States. 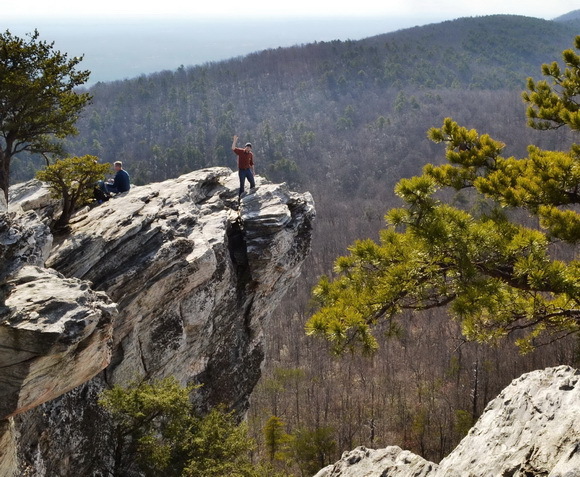 The Hanging Rock is a spectacular, airy spot with great views of much of the park, including Moores Knob mountain. 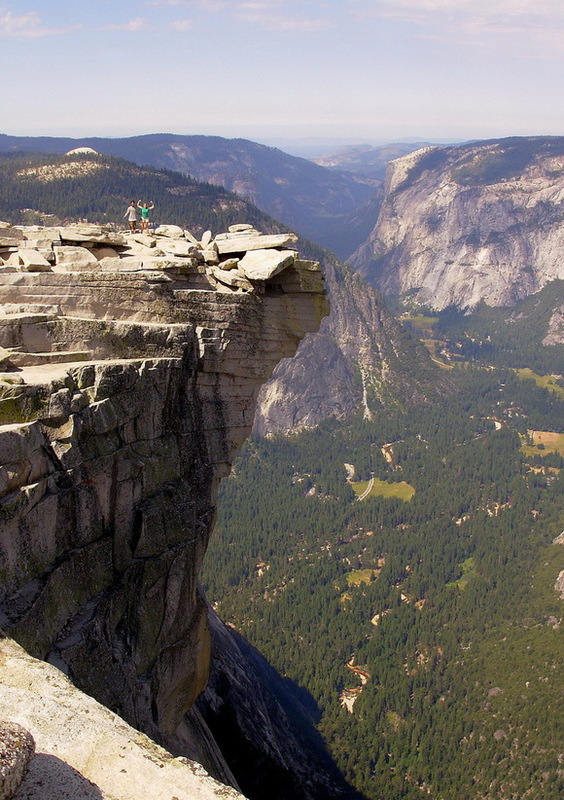 The Diving Board is located in Yosemite National Park in the western Sierra Nevada mountains of California, rising 3,500 ft (1.100 m) from the floor of Yosemite Valley. 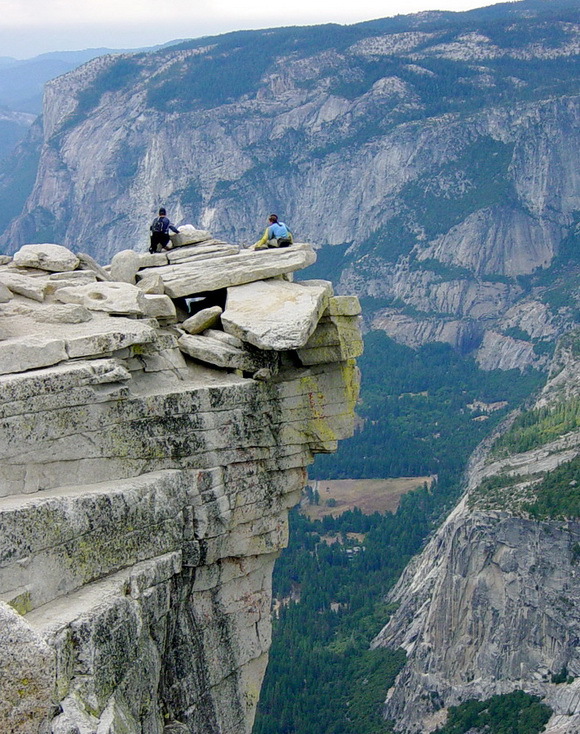 It is the prominent rock on the west side of Half Dome that projects out in front of the face ofHalf Dome - a granite dome at the eastern end of Yosemite Valley - possibly Yosemite's most familiar rock formation. 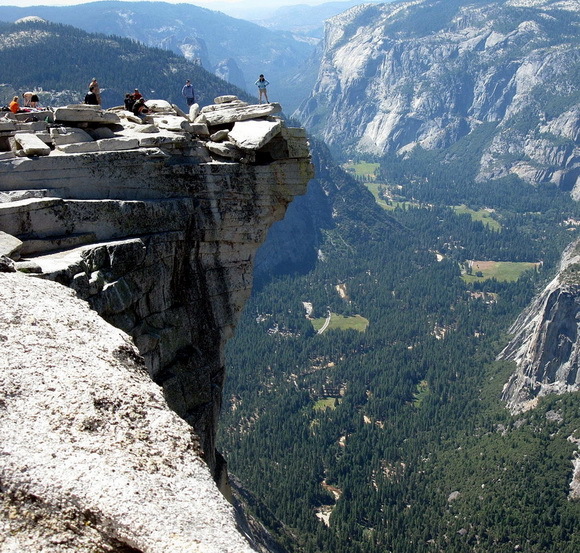 On the West, visitors can see the whole Valley, below is a 30 feet (10m) overhang and a 1500 feet (460m) vertical face almost straight above Mirror Lake, and on the East, visitors are treated to the most glorious view of the face of Half-Dome. 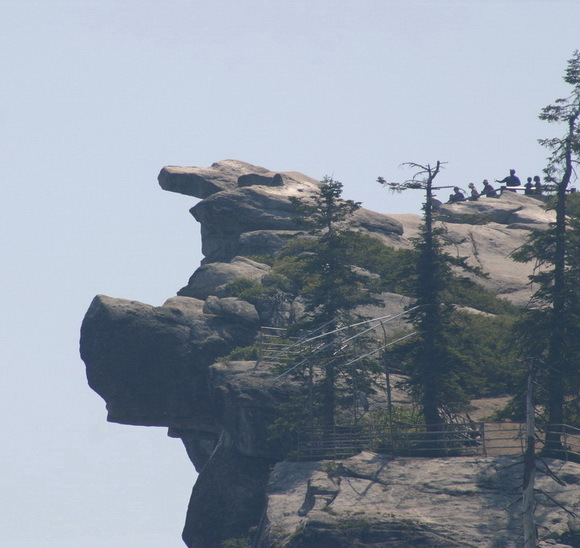 Overhanging Rock was a popular location in the early years at Yosemite National Park, U.S. state of California. 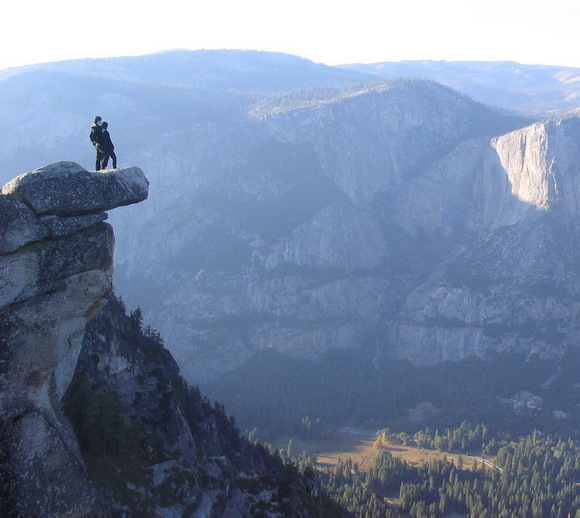 Perched 3200 feet (1.000m) over the valley floor, it has been a focal point of trips to Glacier Point ever since the first trails were built to Glacier Point in 1857. 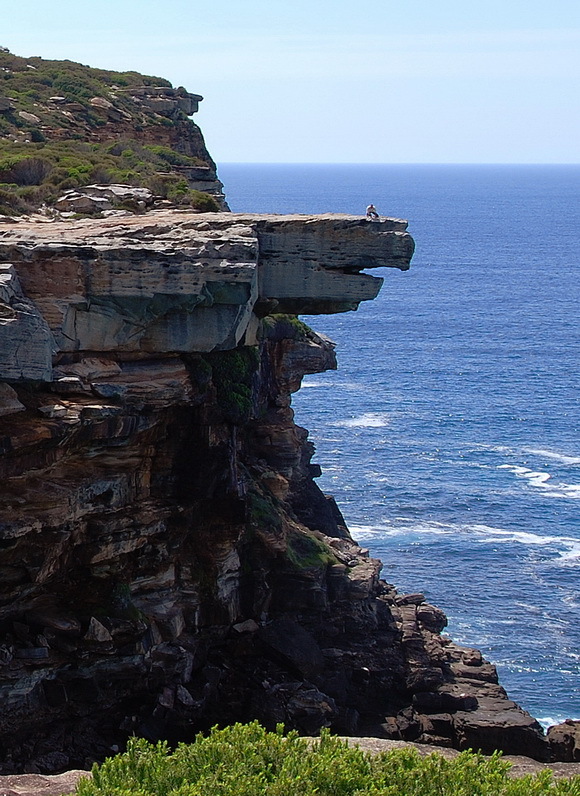 Eagle Rock is located in Royal National Park - a national park in New South Wales, Australia, 29 km (18 mi) south of Sydney central business district. Leopard Rock is situated In the Oribi Gorge Nature Reserve - a park in KwaZulu-Natal, South Africa, about 21 km (13 mi) inland from Port Shepstone. 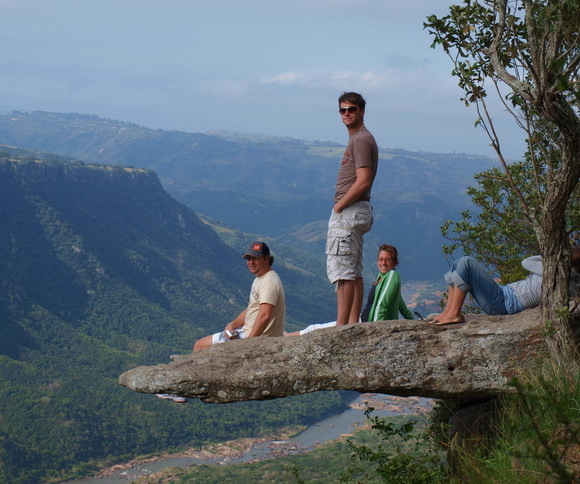 Famous Leopard Rock juts out over the vast expanse of the valley of Oribi Gorge. 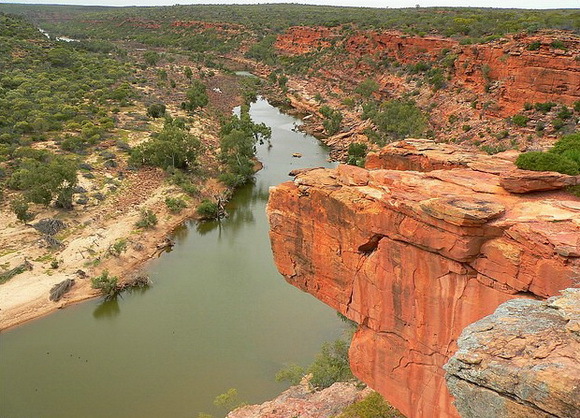 Rock is named after the famous "Leopard photo" (a tame leopard on this rock looking over the gorge) which was taken over 40 years ago. 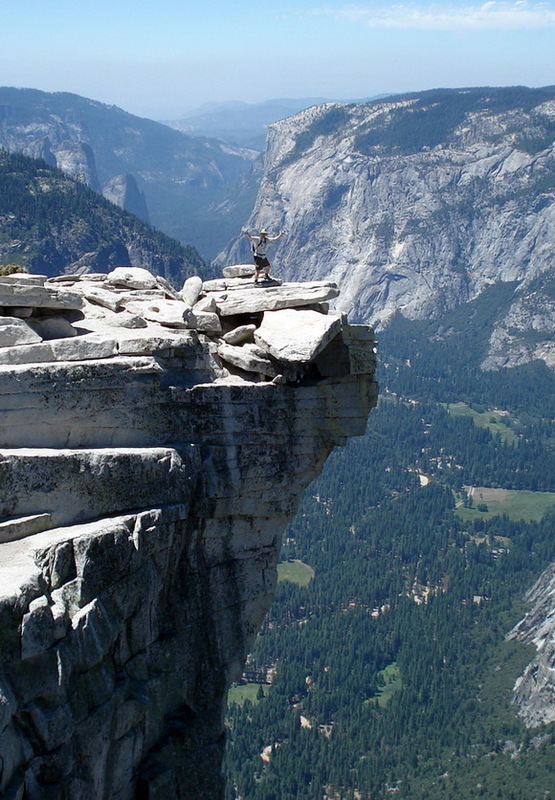 Warning: For security reasons, we recommend to our readers who decide to visit one or several of these amazing places - the following: please engage a professional guide, please do not lead children, weak and sickly people and pets, do not perform stunts and do not lean over the edge of the rocks as do some tourists from a pictures in this article.